Microbrasserie À La Fût is one of the those quality Quebec breweries that has been around forever while at the same time being a brewery that is often taken for granted. It certainly has been from me. I don’t try nearly enough of their products, but when I do, I’m almost always satisfied or impressed. Part of that is related to their price point. Due to the fact that they use organic ingredients and are an extremely small enterprise, their bottles and cans tend to be on the pricier side if compared to similar quality products. That said, generally speaking, I don’t regret my purchase when I do splurge. 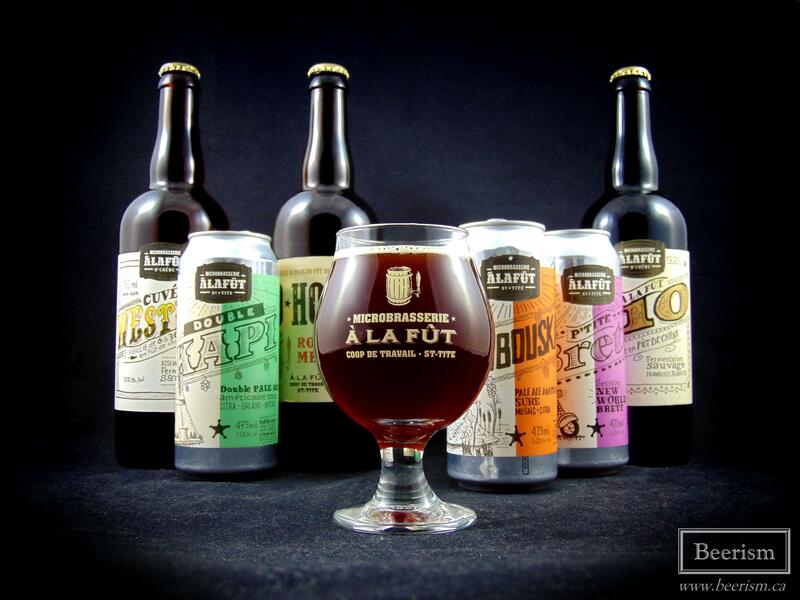 À la Fût has been consistently creating barrel-aged sours for as long as I’ve been into beer. They have always been on the progressive side of brewing, releasing American IPAs and Flanders Reds back when they were just becoming popular (at least in our country). It’s about time that I sit back and properly examine what this awesome brewery has been working on recently. I have an array of cans and bottles to dive into, including their interpretation of a Gueuze. Enjoy! 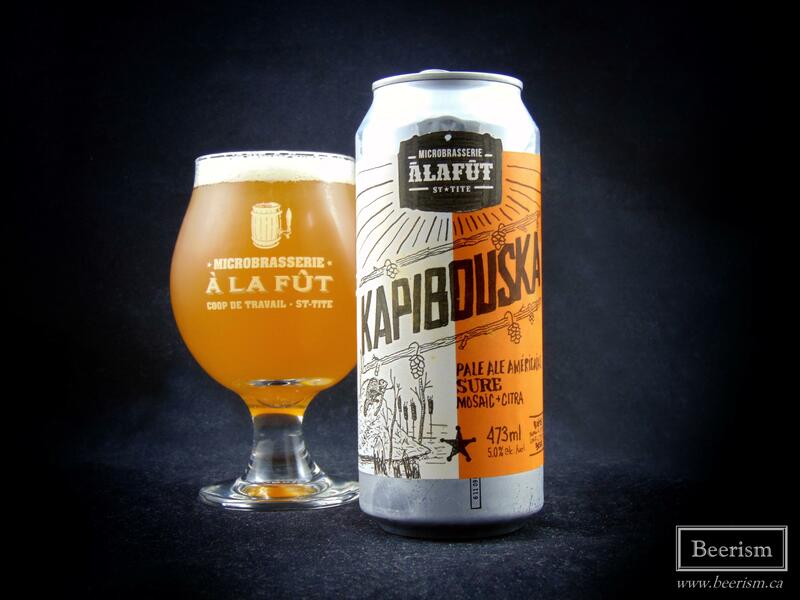 Kapibouska is a sour American pale ale, brewed with Mosaic and Citra. The nose is a sweet mix of bright citrus and luscious stone fruits, tossing papaya, grapefruit, and tangerine at my senses. Some caramel maltiness comes through as well, alongside an acidic tang in the backdrop. On the palate it’s pretty dry for the most part. Actually, this is rather unique and hard to place overall. It’s not as aggressive as most dry hopped sours, and instead only carries a subtle tartness. The bitterness is in check, and the fruitiness matches the nose, carrying stone fruits, strawberry and a big grapefruit pithiness. Overall, this is a nicely balanced and accessible beer with subtle tartness complimenting the fruit-focused hoppy characteristics of citra and Mosaic. Although a touch malty, it goes down smooth and incredibly well – quite quaffable. 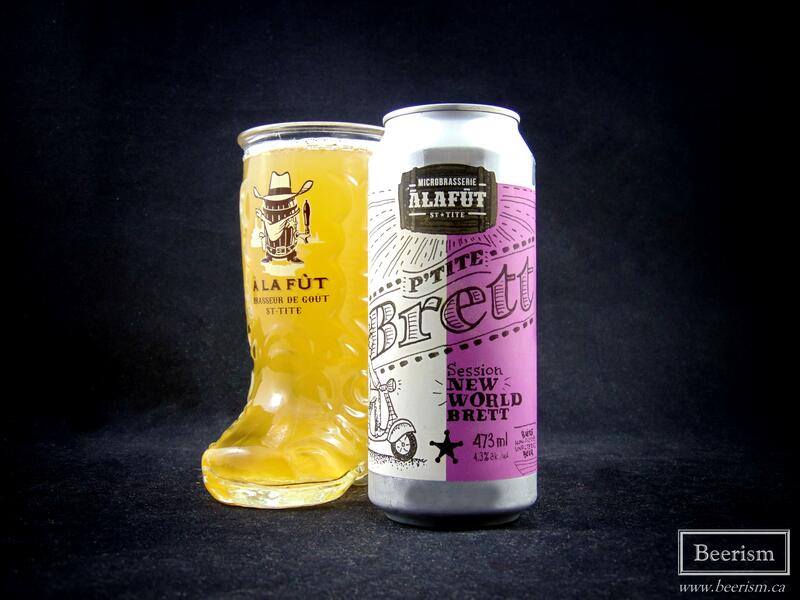 P’tite Brett is brewed with brettanomyces, barrel aged for one month, and dry hopped. The nose is a bright mix of green apple and pear flesh, coupled with lots of oak. Big dusty brett-induced funk follows, carrying some barnyard and dank old books. It’s quite tart up front, but more tannic than sour overall. Like the nose, it’s fruity and vinous, carrying white grapes alongside the pears and green apple. It’s a touch thin, however this does make sense in that it’s under 5%, and the fact that they call this a “session” let’s them get away with it a bit. As it warms, more stone fruits emerge, carrying hints of apricot and peach. The dusty brett funk adds nice a nice dry phenolic finish alongside the vinous tannic tartness. Although complex, this does drink rather easily. It’s a delicious success! 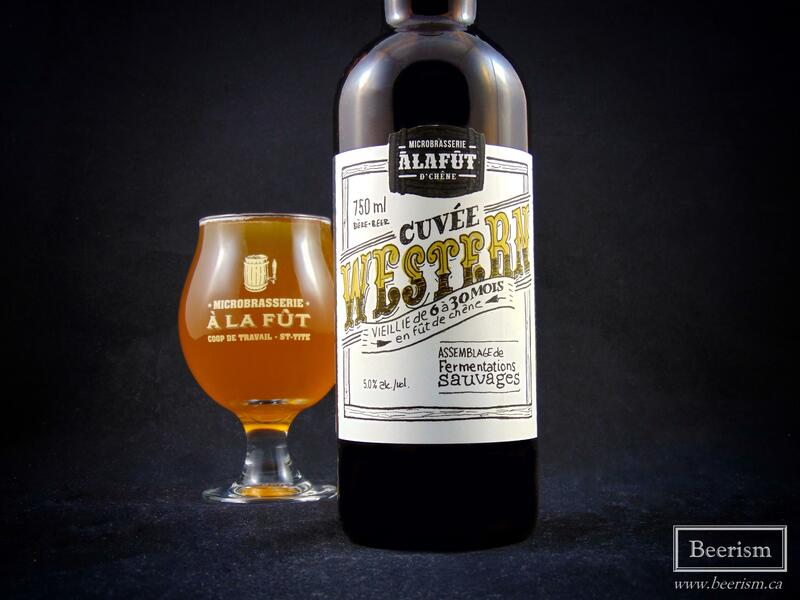 Cuvée Western is À la Fût’s interpretation of an Belgian Gueuze. It’s a blend of three beers, aged in barrels for 6 months to two and an half years with a cocktail of wild yeasts. The nose is rich and dank, full of earthy funk. Zesty vinous notes meet grapefruit pith and under-ripe apple. Some dusty brett phenols come through as well, alongside subtle vanilla oak in the finish. The palate matches, but slightly less bright than the nose let on. Lots of candied apple, pear and some white balsamic sweetness help round out the flavour profile. The acidity is not aggressive in the least, allowing the beer to go down incredibly well. Overall, I’m not huge on this one. In general, acetic notes in a “Gueuze” are not something I enjoy, and there is an estery bubblegum component that I don’t love. That said, this is nicely balanced, complex and still very tasty nonetheless. 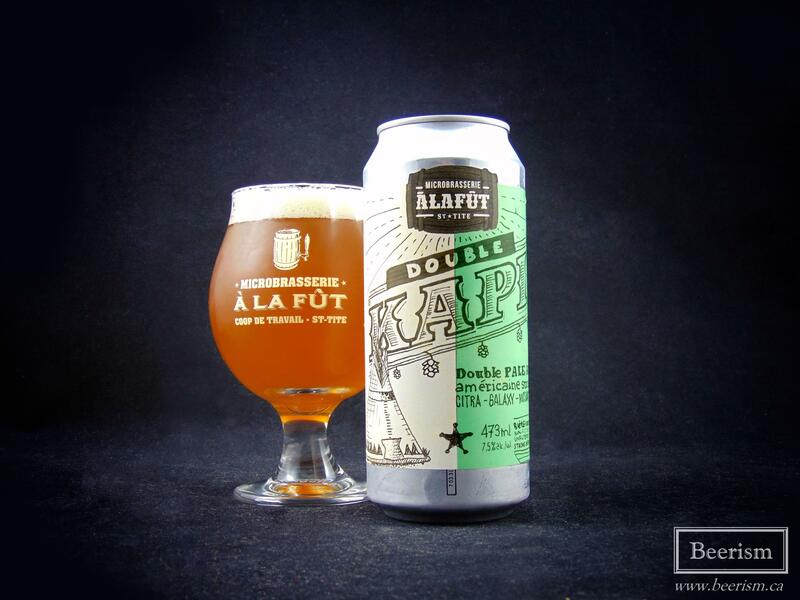 Double Kapi is Double American Pale Ale brewed with Citra, Galax and Mosiac hops. The nose is a fruit bomb all the way, providing both ample stone and tropical fruits to the aromatic experience. Peach, mango and nectarine meet tangerine and payaya, with some acidic candy-like layers. The palate matches, although a touch more subtle. Not a bad thing though. The acidity is also low-key here, adding a tart compliment to the rich fruity hop base.Loads of peach and rich mango flesh come through, carrying a tangy clementine-like tartness that pulls everything together nicely. I was a touch worried this could be a mess, as a high ABV hoppy sour isn’t something that seems appealing to me, but it was quite the opposite. Everything works well here, it’s very nice. 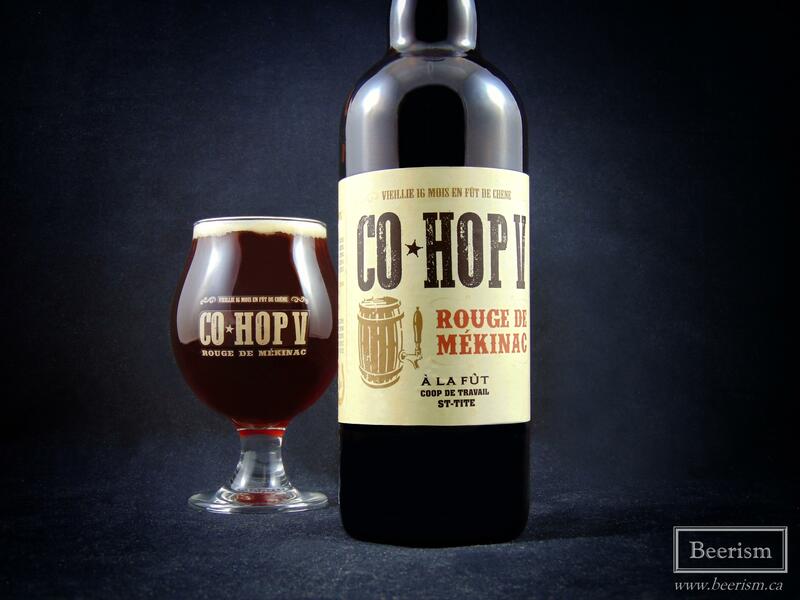 CoHop V – Rouge de Mékinac is À La Fût’s interpretation of a Flander’s Red and a kriek. The nose has a rich leathery chocolate start, mixed with minced-meat tarts and cherry pie. Light balsamic ascetic elements come through as well, but not too over the top. Cherry pits and light vanilla mix with some currents and blackberry jelly. What an exceptionally complex and inviting nose. Up front on the plate, the ascetic notes are more apparent, but balanced and not overbearing. Big cherry pie flavours come through, mixed with some nice oak-infused vanilla nuttiness. Dates and raisins come next, mixing with the tangy acidity and juicy cherry goodness. Light cocoa and almonds are there as well, lending further complexities to all the fruitiness happening here. The Flanders red is a style that doesn’t really excite or even interest me that much anymore – but this, I very much enjoyed. The cherry adds some much more depth and the ascetic notes are kept in check – something that I’m pretty sensitive to. Overall, I really enjoyed these beers. 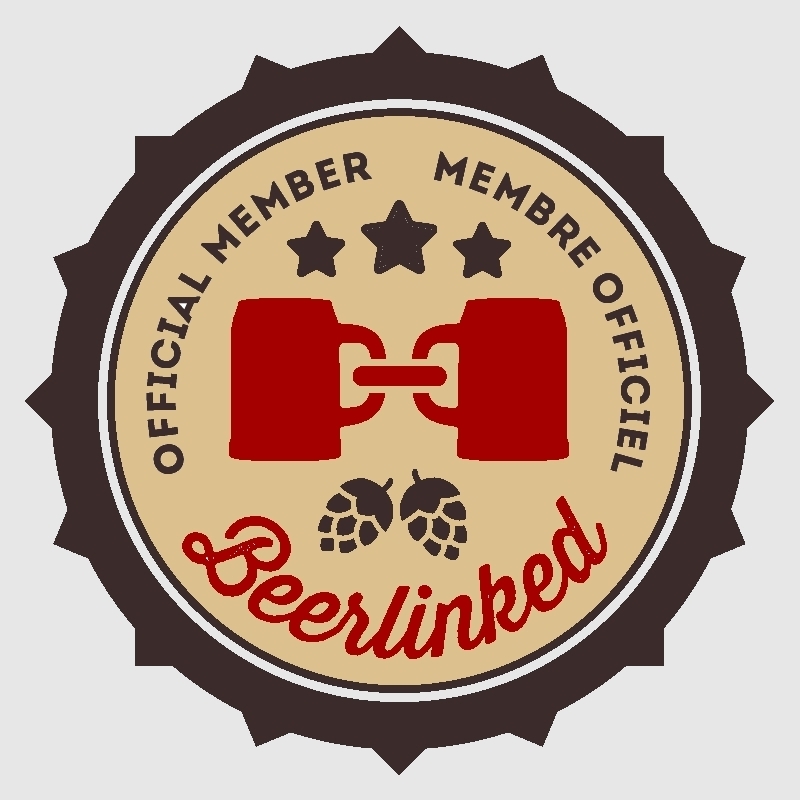 They carry a drinkability that is balanced against some really innovative deliciousness. À la Fût’s experience really comes through, allowing them to create complex products that are very well made. Although not being huge on their Cuvée Western, their Flanders is one my the best I’ve had. Great stuff!